It must be embeddable. Some sites specifically block themselves from being embedded. 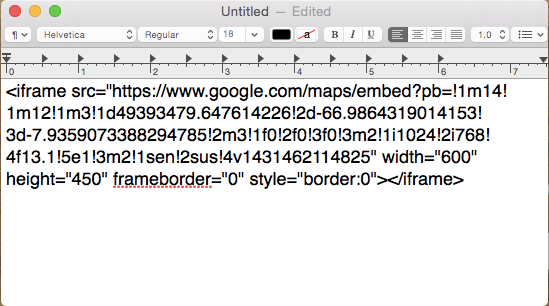 Google.com can't be embedded, for example. However, like most rules, there are some exceptions! 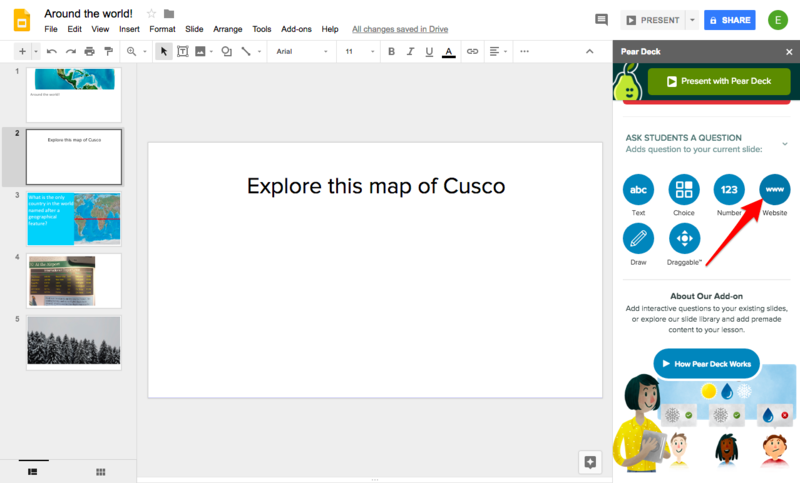 When you put a site like https://www.google.com/maps into a Pear Deck Web Slide, our messaging will tell you that it can't be embedded. 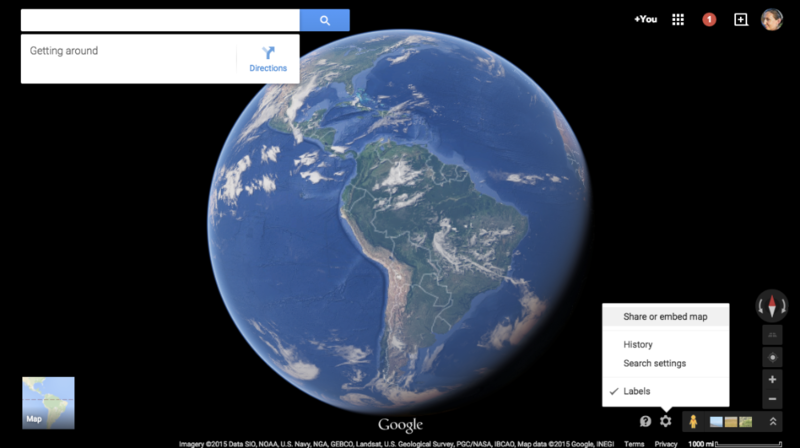 Google Maps and YouTube, for example, have a way to get an embeddable link. If you put that link into a Pear Deck Web Slide, it will work. Find the Embed code - Often embed codes are under some kind of "Share" or "Settings" button. 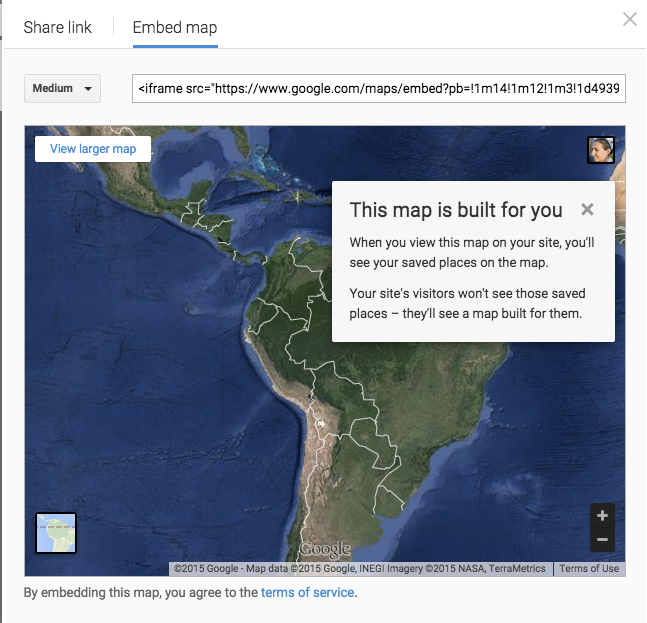 For example, in Google Maps, I click the gear menu and choose "Share or Embed"
Then I clicked on "Embed" map tab. Notice the big link in the text field. Paste the Code into a Browser or Document Editor - This is the tricky part. 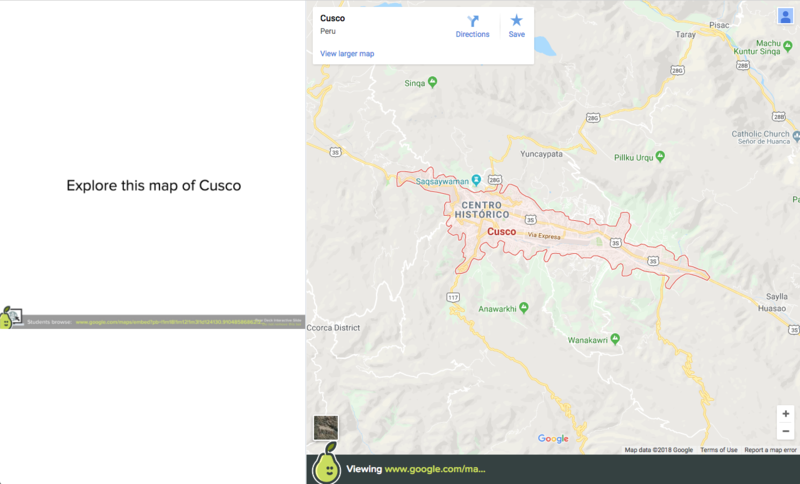 Paste the code somewhere you can edit it, like a word document or in the address bar of another browser window. We only want the part that starts at "https://." We don't want the part that says "<iframe src="
Select and Copy only the URL - Select everything BETWEEN the first set of quotation marks, and copy it. (Make sure not to copy the stuff about width and height). Create a Web Slide. 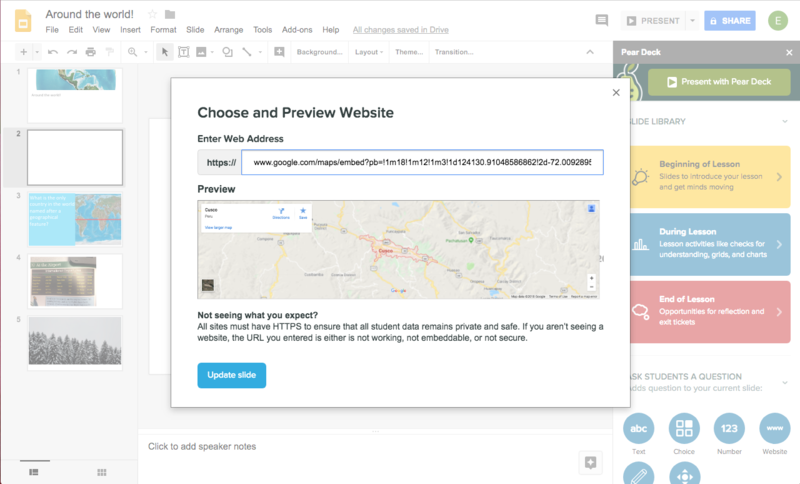 Open the Pear Deck for Google Slides Add-on. Then, open your slide. Next, go to the Ask Students a Question section and choose Website. Paste the Embed Code into the Pear Deck Web Slide URL field. You can follow that same basic process for any site that has an Embed option. 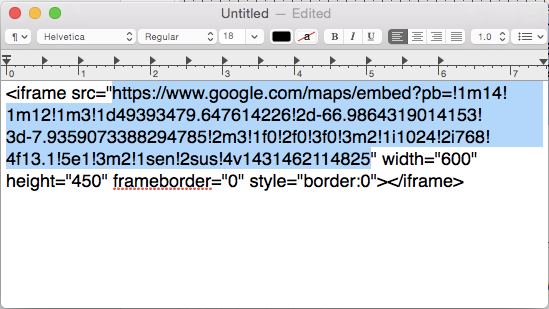 Many sites will work just by copying their basic URL, but if they don't, you can try this "Embed Code" method. If the website is properly embedded, students will see it on their view during your session. * Note about Secure Sites - Most secure sites have https:// at the beginning of the URL. In some browsers, like Safari, they don't display the https:// in the address field but show a locked padlock instead. HOWEVER, some sites, like National Geographic, don't force a secure certificate but in fact do have it available. So, sometimes, just because a site doesn't have https:// doesn't mean it CAN'T have https://. Unsure about whether it's a secure page? Test it! To test your link to confirm it's secure, you can either paste the link into Pear Deck, or type "https://" in front of the URL in your browser and see it if works.